With the success of Jumia on its public listing in the NYSE, a new exit playbook has opened in Africa. Yes, after recording 75% surge on day 1, and hitting $3.9 billion, African founders need to study the mechanics of going to America. Had Jumia listed in Lagos, it would not have crossed $400 million market cap. Interswitch has been over-cautious for years. Now, it is time. I expect Andela to join this party in 3 years even as Interswitch hits the market within 24 months. Cellulant will be on the way. I can predict that everyone will be going to America. Jumia has shown that relations have been normalized – Africa can be a huge source of growth for the Street players in NYSE. Simply, there is no reason not to do it in an exchange where the liquidity is evidently unbounded. I have added five slides this morning in our Innovation Workshop for African startups and founders. The lead to the session is Going to America – the Jumia Playbook. Besides building for pure buyout, exiting via IPO in the beautiful America is a crystal possibility because relations have been normalized with the Street. 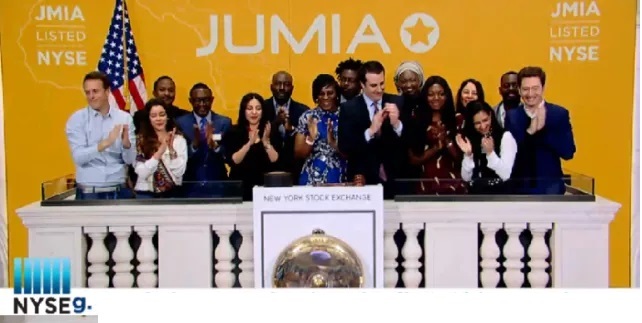 And if Jumia holds up after reporting two quarters, I will add a new one – primary listing in U.S. with secondary listing in Nigeria or South Africa to manage the political fallout that will evidently befall Jumia in coming months. Yes, most local regulators will ask it to come and list in Africa. It must be planning for that as secondary listing.